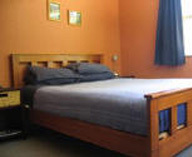 Our priorities are clean, comfortable and relaxing environment for you to enjoy your stay in Arrowtown. 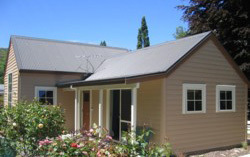 Poplar Lodge is a large comfortable home in the historic zone in central Arrowtown sleeping 14 people. With seven bedrooms, 3 bathrooms, fully equipped kitchen and lounge there is space for everyone. Central heating and unlimited hot water with Rinnai gas water heaters.. Just one minute walk to the centre of Arrowtown. Garden with BBQ, off street parking, laundry and WiFi. The lodge is ideal accommodation for family groups, reunions, weddings and sports groups. Great for 2 or 3 families to rent and save money by renting one property. The cottage is a modern home offering accommodation for singles, couples or groups up to 4 people. There are 2 bedrooms, 2 shower rooms, garden with BBQ and off street parking. Poplar Lodge is located in Arrowtown, a historic gold mining town just 20 minutes drive from Queenstown. We would love you to stay with us. Get in touch today, contact us here. Don't just take our word for it, read testimonials of others who have stayed at Poplar Lodge before! See Testimonials on Bookabatch, Airbnb and Holiday Homes. 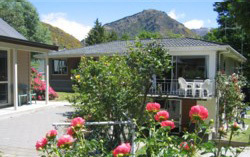 "Quality yet Affordable Accommodation in the Heart of Arrowtown"